Meet to pick up signs at FORT STREET and EUREKA ROAD. Wear your Knights of Columbus gear and bring your family. 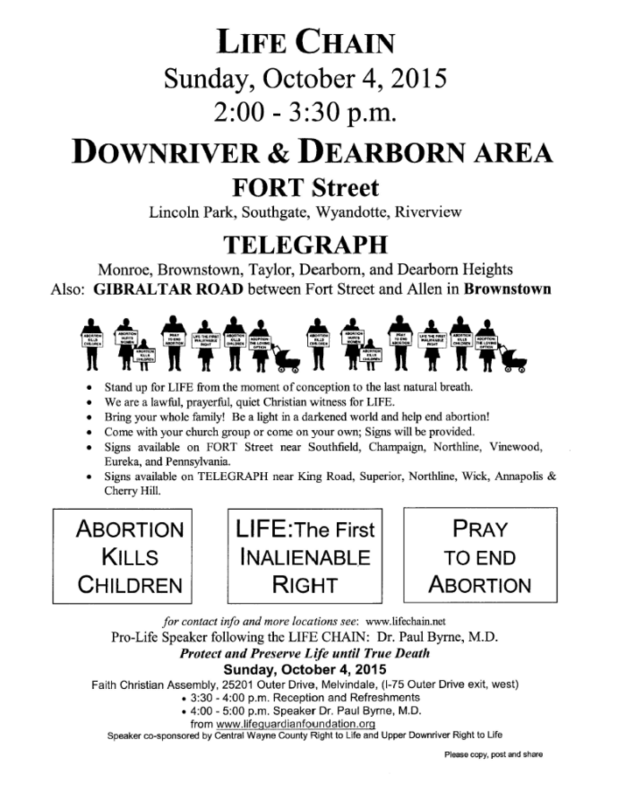 You are invited to attend our annual Right to Life of Michigan Open House, which will follow Life Chain Sunday events. When: Sunday, October 4, 2015 3:30 p.m. until 5:00 p.m.
Hope you can join in! See you all on Sunday, October 4th!